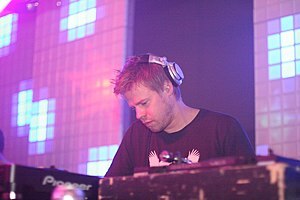 Ferry Corsten, also known as System F, (born 4 December 1973) is a Dutch musical artist. He creates music in the electronica and trance varieties. He lives in Rotterdam, Netherlands. Ferry hosts his own radio show, "Corsten's Countdown". In 2009 Corsten ranked #7 on DJ Magazine's annual Top 100 DJ Poll. ↑ "DJ Mag's Top 100 DJ's". DJ Magazine. Retrieved 2011-11-21. This page was last changed on 23 November 2015, at 05:36.